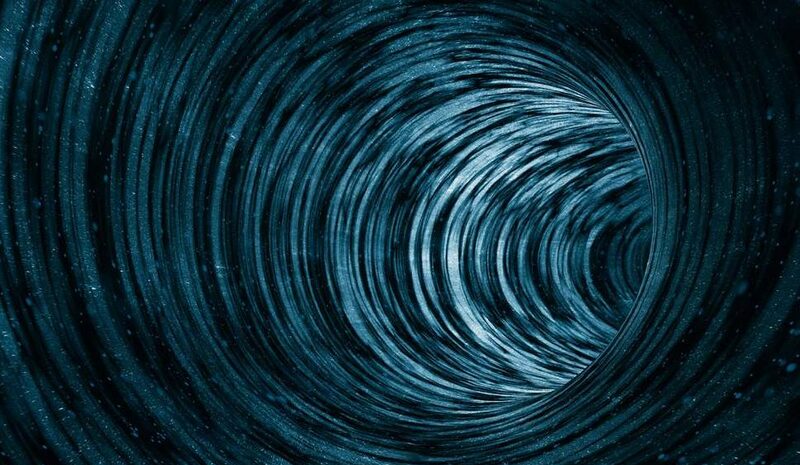 Ohio State QB Tate Martell has entered the NCAA Transfer Portal. What are the five best teams for him? 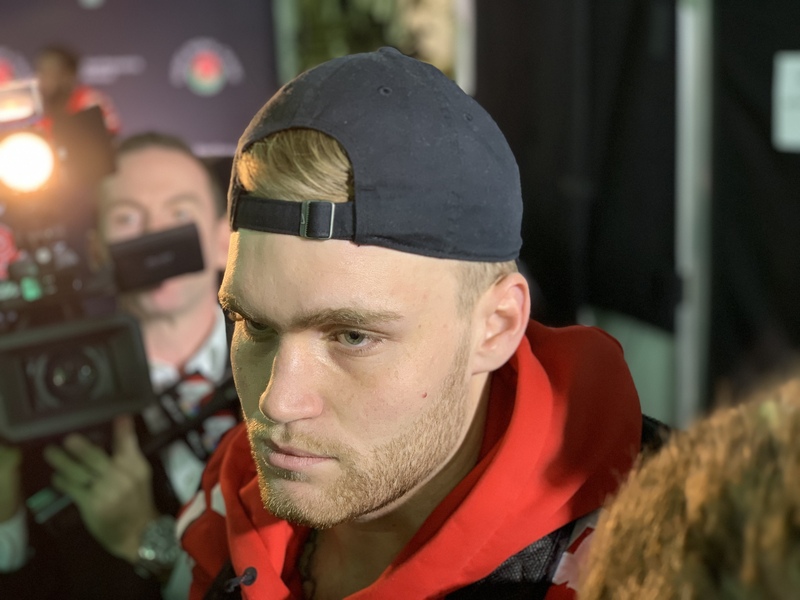 It was a big deal when Ohio State was able to sign Tate Martell. The Las Vegas native isn’t all that big, but he was the type of baller who fit the style of the Ohio State offense as it was under Urban Meyer. A winner, he was undefeated in high school, didn’t give up picks, and was the leader and star for the powerhouse Bishop Gorman program. Only 5-11 and 210 pounds, he’s built more like a running back than a pure passer, but he’s accurate, has a live arm, and he can move. Can confirm: Tate Martell is in the NCAA transfer portal. Allows him the opportunity to speak to another school about a possible transfer from Ohio State. This doesn’t mean he’s 100% gone from Ohio State, but if Fields is allowed to play right away this season – the Georgia transfer will have a bit of a fight with the NCAA to get the hardship waiver to be ready right away – that’s the guy. If Fields isn’t eligible for 2019, this changes. With Dwayne Haskins leaving for the NFL, if Martell takes off, it’s uh-oh time for the Buckeye offense if Fields isn’t eligible. Haskins is off to the NFL, Martell transfers, Fields isn’t eligible until 2020, opening the door for Alabama grad transfer Jalen Hurts for his one season. Again, it’s not a lock in any way that Justin Fields is eligible for the 2019 season. It’s being assumed by way too many people that the NCAA is just going to hand over a hardship waiver, but that’s a complete and total guess. The simplified argument for Fields will be that because he was the victim of a racial slur – there might be other parts to this puzzle yet uncovered, too – and that he didn’t feel safe at Georgia, he had to transfer out. He’ll get his say in front of the NCAA, with the same representation that Shea Patterson used when he left from Ole Miss to go to Michigan. Martell might try to wait it out to see if Fields can or can’t play. If he can’t, then it makes sense for Martell to show what he can do in the system to possibly up his stock and potentially pull a Jake Fromm and be too good to replace. Martell is a feisty, fiery guy who loves competition, but he’s not a perfect prospect for everywhere. Just because he goes someplace big and sits for a year, that doesn’t guarantee him a gig. It might be in his best interest to be patient and wait until the Fields thing plays out. New coach, new world, new style, but it all worked out when Will Grier sat out and waited his turn. West Virginia turned out to be a solid place to play, and the offensive fun isn’t going to suddenly stop. Martell isn’t Grier in terms of being a pure passer, but he’s a great fit for former Troy head man and new head coach Neal Brown and what he likes to do. The leader of the Mountaineers attack will get a shot to get under center, put up big numbers in shootouts, and have a whole lot of fun in the Big 12. Miami transfer Jack Allison is the presumptive favorite to be the starter next season, but he’s just a sophomore. If he’s good and if the production is there – whether it’s him or anyone who starts next season – it’s not a sure thing that Martell would be the man in 2020. But Martell would be a talent upgrade. Get in, learn the system, and put up the numbers. It’s one thing if a Jalen Hurts ends up transferring to Auburn. Hurts has become an Alabama folk hero, and it just wouldn’t seem right if he went to the hated rival with a shot at taking down his former school. But Tate Martell going to Michigan? Ooooooooooh, that would be a super-spicy thing to crank up the rivalry even more – at least in the minds of Wolverine fans. Dylan McCaffrey is already in Ann Arbor, and he’s expected to at least push for the starting job once Shea Patterson is done, but that’s not a sure-thing by any stretch. Coming off a broken collarbone, he’s got the talent, but he still has to prove that he’s it. Martell has to do that, too, though. No matter where he goes, he’ll have to earn the job and will have to prove he can be the main man and play in a full-time role. Martell and Patterson are friends enough to help make this an easy transition – and be a massive troll job at Ohio State. Manny Diaz needs a plan. Miami is the one team that desperately needs a quarterback infusion – one guy could make all the difference in the ACC Coastal race – and in the fight for the shot to dethrone Clemson. Malik Rosier is gone, and N’Kosi Perry hasn’t worked out so far. For next season, Diaz needs to either go with Perry, or hope for a grad transfer like a Jalen Hurts or Tyree Jackson to to step in. Martell would be the guy to build around for 2020. Brevin Jordan. Bishop Gorman alum. Bubba Bolden. Bishop Gorman alum. Tate Martell. Bishop Gorman alum. Come join the fam and the movement in Coral Gables, TM. Going to Miami would be a part of a movement for the program. But here’s the thing – Diaz and the program would have to keep pushing for more talent and need to go after a Johnny Five-Star to step in. Martell is good, but there’s a reason he’s transferring – he’s not Justin Fields. There can’t be any assurances that he’s the guy in 2020, but by him being there, it might scare off others in the recruiting process. For whatever reason, LSU isn’t nailing it when it comes to bringing in elite quarterback talent. There hasn’t been a star in any of the last two recruiting classes, but Myles Brennan is still in the mix – he was a four-star-caliber get in 2017. Right now it’s Joe Burrow’s gig. The former Ohio State Buckeye saw the writing on the wall with the emergence of Dwayne Haskins, went to LSU, and he turned out to be exactly what the team needed. A senior next season, Burrow will be the guy for one more year, and then the program needs an option. LSU is an obvious destination for a top grad transfer, but that’s playing the lottery – at least a wee bit. Martell really is that good. He’s going to be a successful starter somewhere, and like Burrow did, a move to LSU from Ohio State is, at worst, a slight step down. But most of the SEC schools fit for a playmaker like Martell. Auburn would work. Alabama would be great – but the guess is that Martell wouldn’t want to be involved in another dogfight of a battle. Florida wouldn’t be bad, and Texas A&M would be a terrific option. But LSU … that’s it. That’s the fit. Justin Fields Transfer: Where Will Georgia QB Play in 2019? Where will Justin FIelds transfer for the 2019 season? Find out the latest Fields’ transfer rumors involving Ohio State and other top programs. 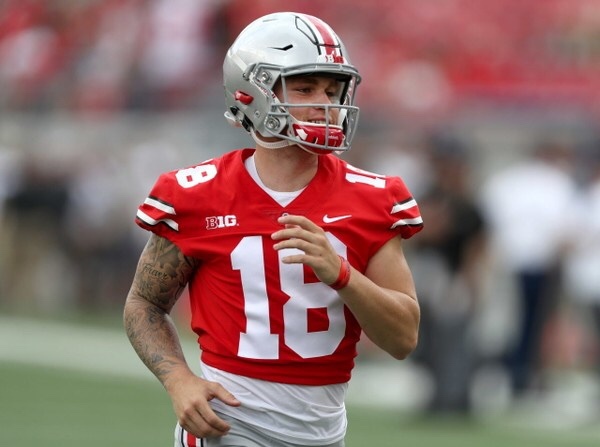 Did the Buckeyes and Ryan Day get better with the loss of Tate Martell? Justin Fields and Ohio State received some outstanding news from the NCAA on Friday.